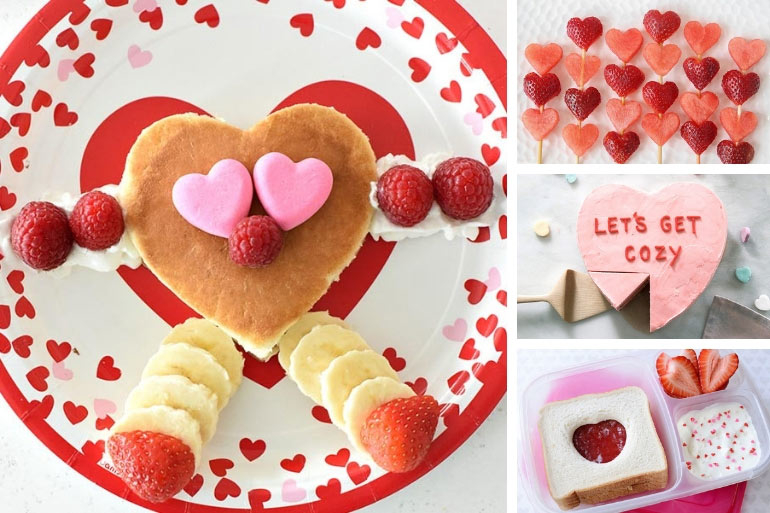 10 Valentine's Day Recipes the Whole Family Will Love! Whether you go all out or keep it simple on February 14, there’s no better excuse than Valentine’s Day to show your family (and yourself!) some love from within the kitchen. 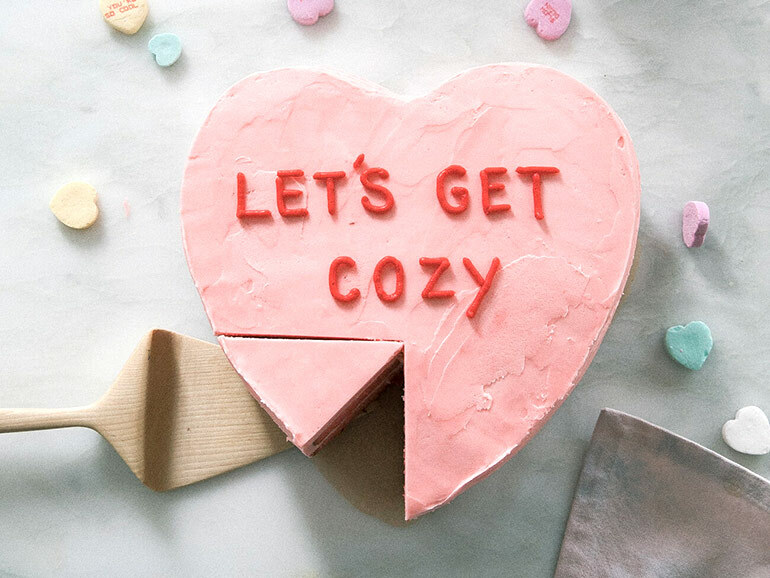 Armed with a cookie cutter and a little creativity, there’s nothing you can’t do to give your usual fare a Valentine’s Day twist. From lunch box ideas to after-dinner desserts, the loved up treats are coming at you thick and fast with this heartfelt collection! 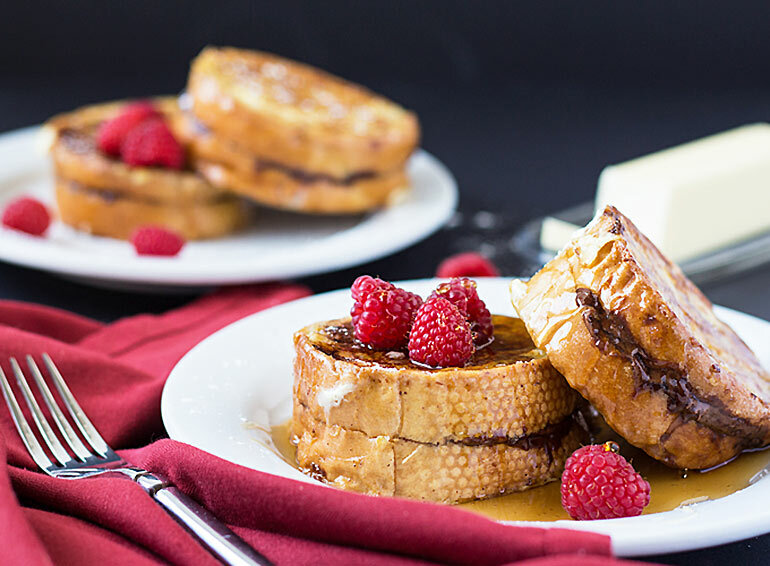 Just when you think French toast can’t get any better! Try a whole new level of breakfast goodness with the addition of Nutella. Nutella filled French toast for the win! Remember the conversation heart lollies of old? Now’s the time to grab your heart shaped cake tin and create an epic conversation heart cake. So much fun! Celebrate love with pizza. 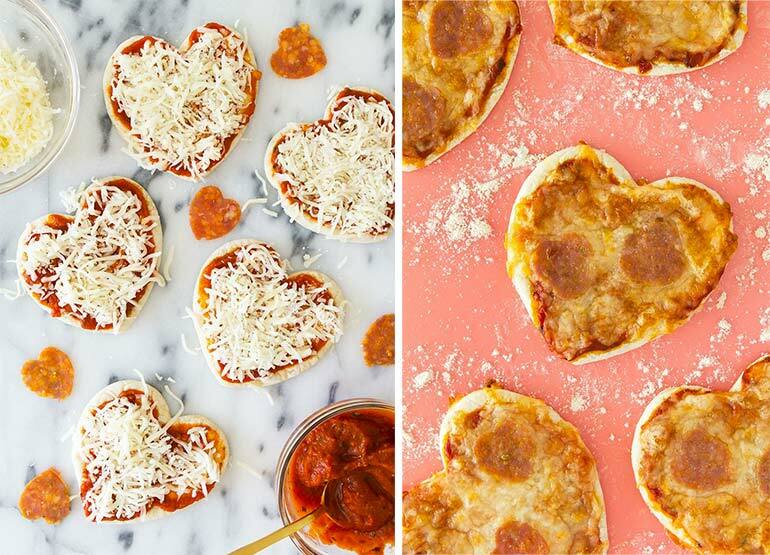 Adorably delicious mini heart shaped pizzas of course! Heart sprinkles can give the simplest of cupcakes an easy peasy Valentine’s Day makeover. 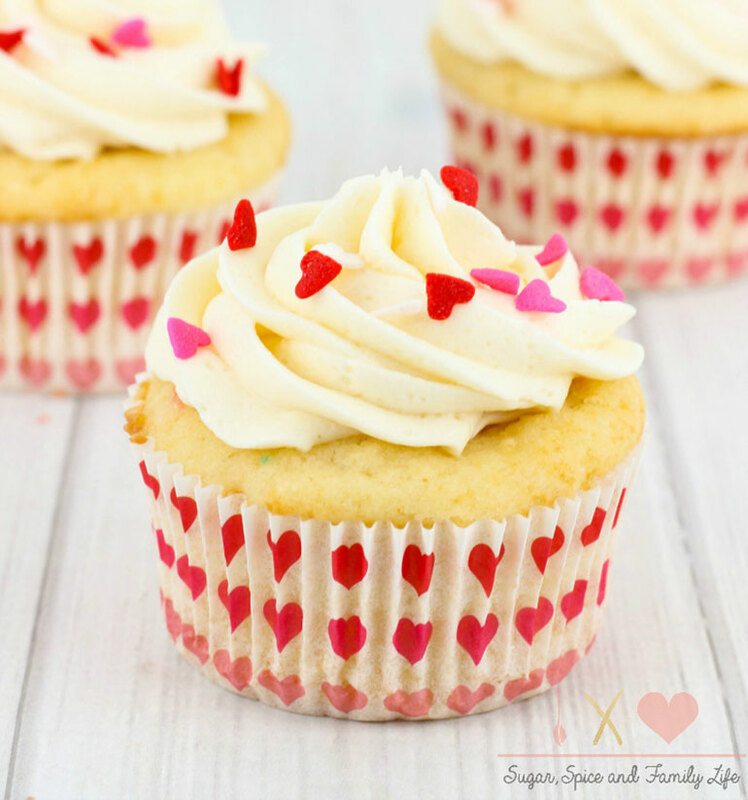 We give you Valentine’s Day vanilla cupcakes! 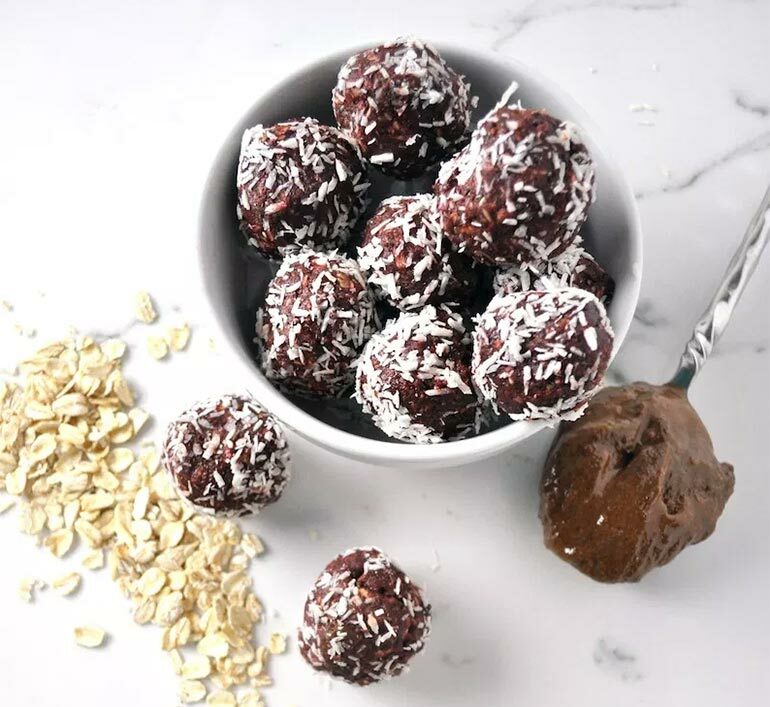 A healthy chocolate treat, chocolate beet bites will tickle any health nut’s fancy. What a delicious, refined sugar-free treat these will be. 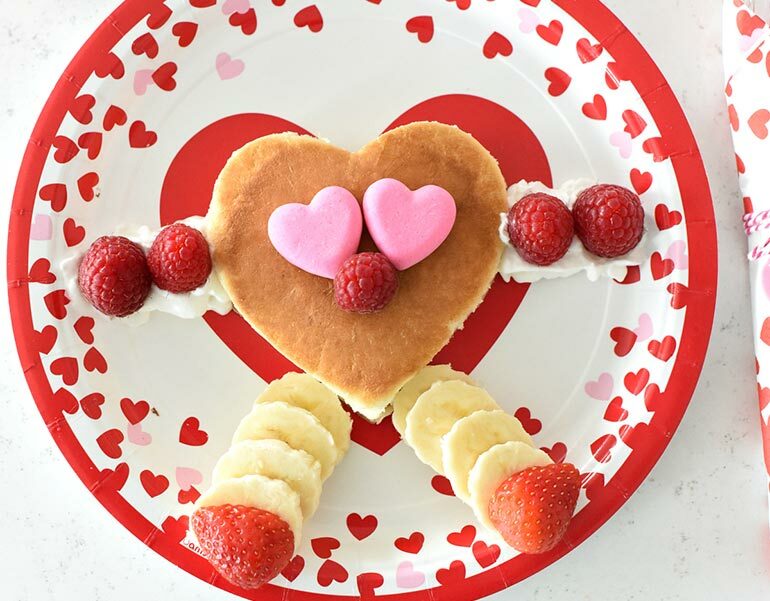 A sweet breakfast for the kids (and the young at heart), this Valentine’s Day breakfast is the most fun you can have with pancakes! 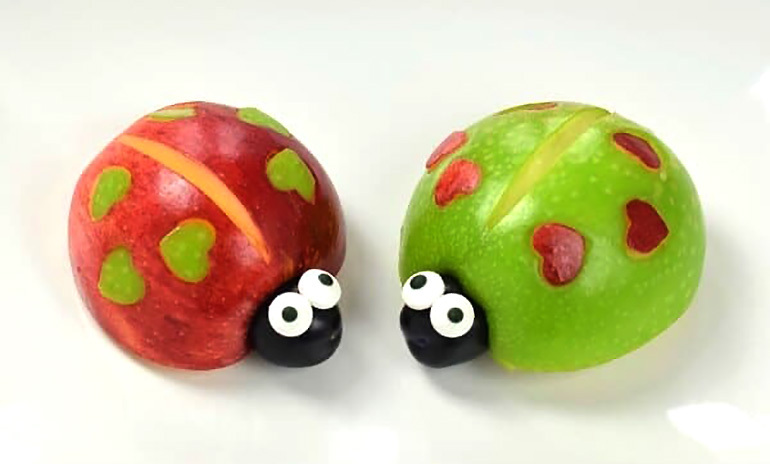 Nawwww apple love bugs, likely to be the sweetest way to eat your apples! 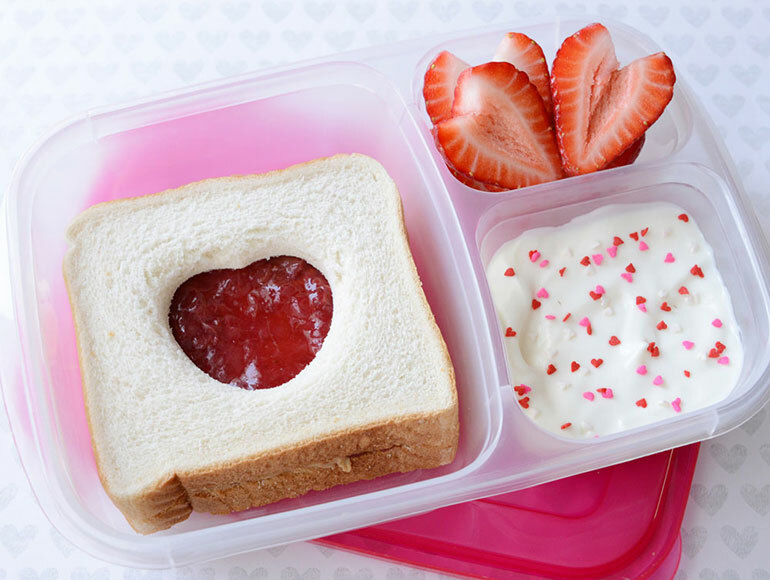 Put some love into your lunch box creating this Valentine’s Day. 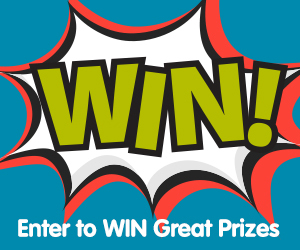 Quick, go find a heart shaped cookie cutter! The kids will love munching down on these fruity heart kebabs. 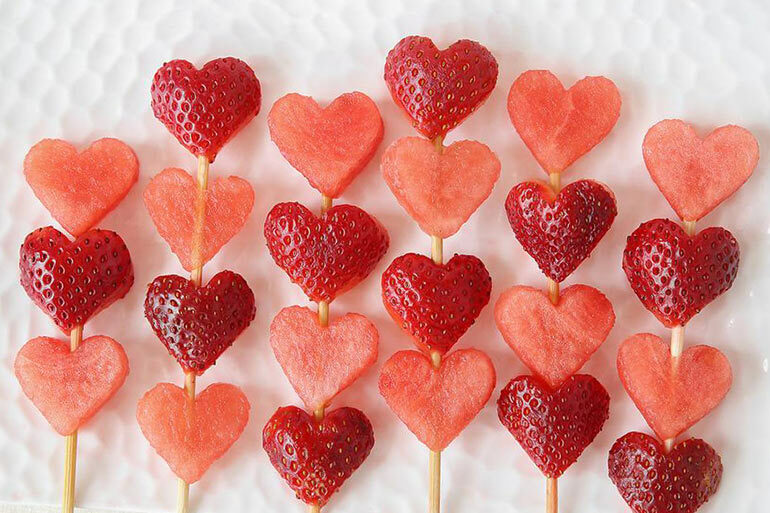 Use melons and berries to create heart shapes (don’t put away that cookie cutter just yet) and thread them on a skewer. 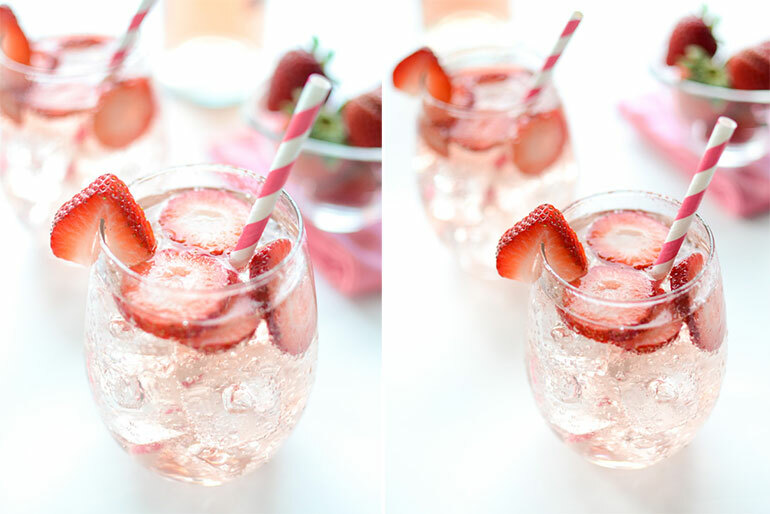 The perfect drink to bid goodnight on this year’s Valentine’s Day, pink strawberry sangria! For a non-alcoholic version, try lemonade with a drop of red fruit colouring. Sweet! Want some more Valentine’s Day cooking, see our 14 Valentine’s Day recipes to make with love.